The rest of our afternoon is spent relaxing and watching the league final - it was tense, it was tight, it had the most biased commentary ever heard, Eddie McQuire calling a Collingwood match has nothing on this, but in the end, the result was simply beautiful. Now it's time for our final meal in Sydney and this was probably the second thing we arranged on our trip. We knew that if we came to Sydney we would have to catch up with one of our favourite maitre d's Matt. 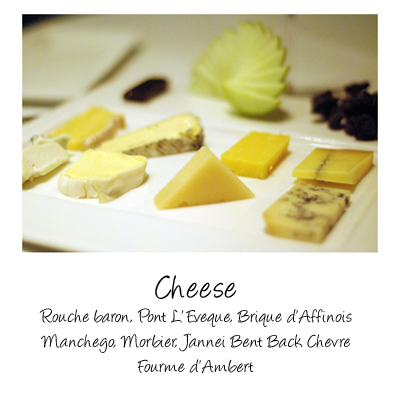 We first met Matt at Fenix and he then moved on to Les Boucheries Parisiennes. 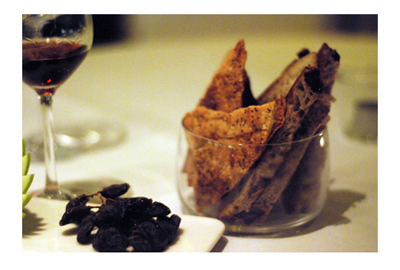 A few months ago he left and took up a position at the Sofitel Sydney. 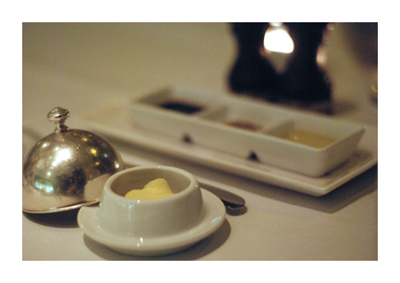 You always knew with Matt around, an evening of excellent service, food and wine was guaranteed. 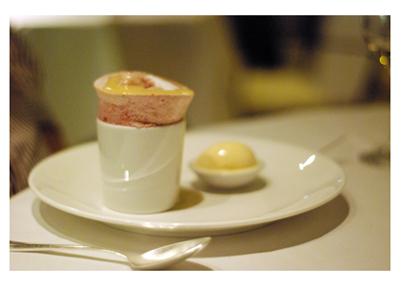 So tonight we're heading back to the Sofitel and this time we're visiting the Garden Court Restaurant. 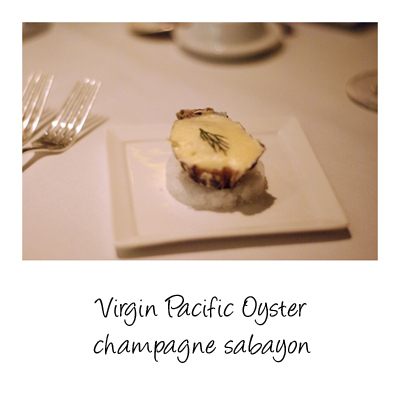 warm, creamy sabayon given an edge with champagne works well with the velvety texture of the oyster. 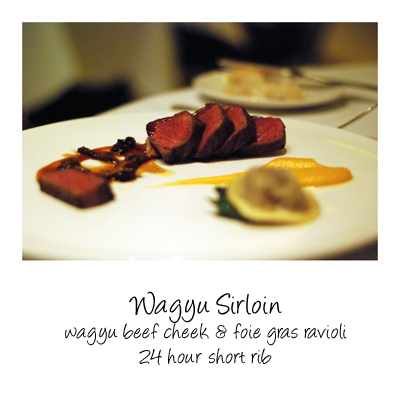 Visually stunning dish, it's an edible work of art. 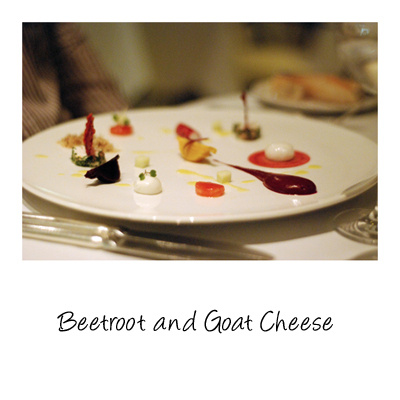 Goat cheese and Beetroot is a combination that you see often because it works so well but this dish dramatically elevates that combination. 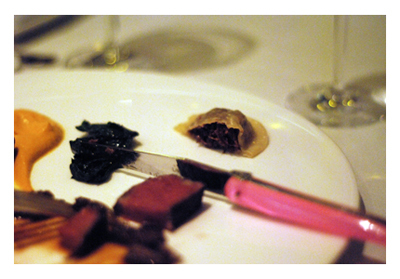 It's a play on textures with the beetroot being presented in a various forms, from puree to pickled. 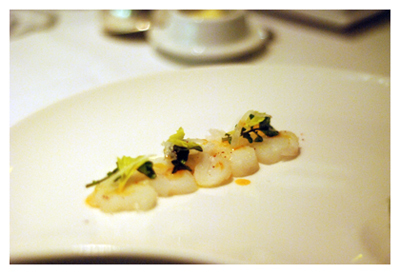 Another beautiful dish - from its appearance to the taste. 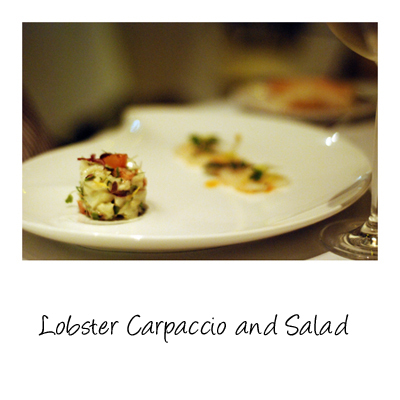 Perfect sliced lobster tail on one side, a creamy lobster studded salad on the other. A wonderfully thick slice of perfectly pink lamb, herb coated skin permeating the flavour into the meat. 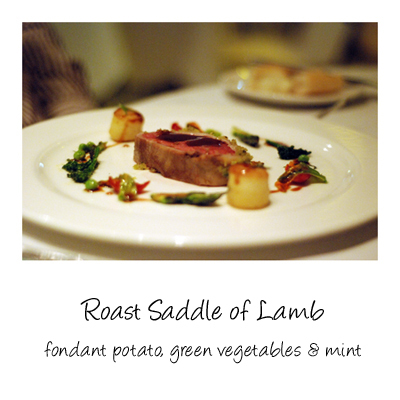 The best of spring vegetables, peas and asparagus partnered with luxurious fondant potatoes. 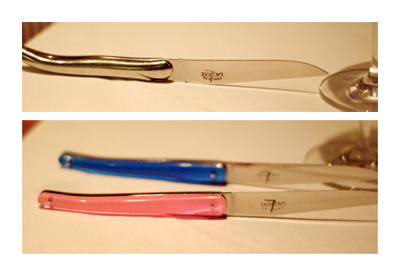 Lovely Laguoile knives - I'd not seen the coloured ones before. and a foie gras and wagyu cheek raviolo. 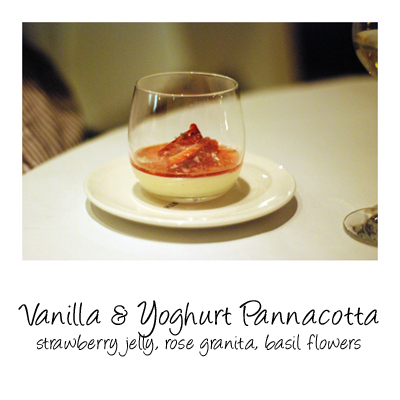 The yoghurt lightens the pannacotta and gives it a slight tang which works well with the naturally sweet strawberry jelly. Hint of rose pleasantly perfume the dish. 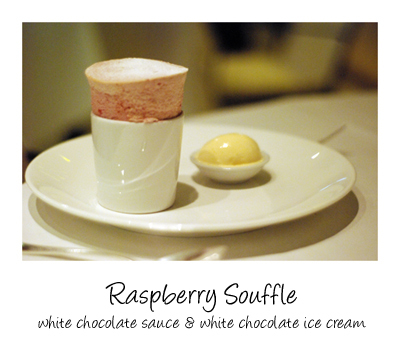 What's not to love - raspberry souffle and white chocolate sauce and white chocolate ice cream, I need say nothing more. We always thought we'd have a good night and indeed we had a fantastic time with excellent food beautiful wine and great hospitality. There's really not much more you can ask for - a perfect end to a great day and to our short sojourn to Sydney.